First impressions are everything. When you meet someone for the first time, you put your best foot forward to make a good first impression with your mannerisms, your attire, and your words. 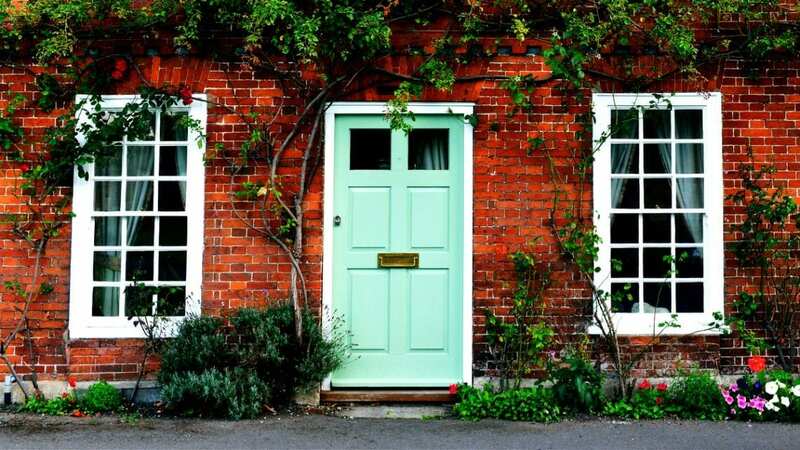 Anyone visiting your home for the first time can also form a first impression of your home (and of you) by looking at your house- specifically your front door. Making your front door spotless and inviting will make guests feel welcome and happy. You can do a lot to accent your front door to make it appealing for guests. Here are some ideas. You can choose a bright color for your front door to make it stand out from the rest of the house. Whether you choose a sunny yellow color or a bright blue or classic black, you can make a friendly and stylish statement with a bold, modern color choice. Lay a mat at your front door which not only welcomes guests but also provides a place for guests to wipe their shoes if needed, so the inside of your home stays clean. Keep your front door and the area around it clean. Keeping your front stoop spotless is always attractive. Don’t just clean the front door; also pay attention to the doorbell, the mailbox, the porch lights, and exterior windows. Sweep and wipe these thoroughly and make sure they are not dusty and don’t have any hanging cobwebs. Anything that does not belong on your front porch needs to be moved to another place. Any lawn equipment, kids’ bikes or toys, or any other items that are not a part of the front entrance of your house should be cleared away. Try a unique design for your front door. You need not stick with the usual wooden traditional-style door. If you like, you can give your front door a sleek, modern look by using other materials such as steel or glass. Frame the front door with interesting accents. You can recreate a historic home’s original brickwork or molding around the front door to make a great impact and make it unique. You can also add a fancy doorknob with an unusual design or color, or maybe a door knocker that will make your front door stand out. Placing some potted greens or small flowering plants on the front porch or on the steps leading up to the front door are very welcoming and give the house and entrance a well-groomed look. You can also hang a wreath from the front door if you like. Your front door should be appropriately styled and sized according to your home’s overall look and feel. You need to keep in mind what you are trying to convey with your design, material, and color choices. Do you want to give a fun, edgy vibe, or do you want to stick with more of a classic, sophisticated style? Once you decide what you want, the design and accent options are endless.